Just a note to thank you for the fantastic service you have provided in the last 24 hours. Truly helpful, timely and reassuring. Sound advice and super service for a new client, thank you again. From my first consultation with Emily Johnson, she was attentive, professional and generally made the whole process of attaining a B1-B2 Visa much easier and pain free. It was a process I’d been putting off, given it’s a daunting process with a few minor criminal offences on your record. However, it was easy to detail my history with Emily – where she didn’t pass any judgement – and dealt with all of the facts in hand and advised me realistically. I would definitely use Davies Legal Immigration again, and especially Emily. Kaitlin was great from the outset. She was able to explain the process very clearly and what information would be required for the E-2 visa application. She took what was a very daunting process and helped me navigate through it smoothly. I’m very grateful and would wholeheartedly recommend Kaitlin and her firm. I was in search of an immigration lawyer to help me with my E-2 visa case before I found Davies Legal Immigration. Emily Johnson had advised me throughout tirelessly to obtain the E-2 visa. I highly appreciate Emily for all her hard work for me and for my family to make my case successful. I went into the embassy feeling really confident that she had filed my case very strong and she also helped prepare me for the interview . because although I had different immigration lawyers in the past, no one has been better than Emily Johnson and Davies Legal; they are best! The Davies Legal experience has been wonderful. Extremely professional team. Kaitlin and Dafydd worked for my L1-A visa which i received once acknowledged by USCIS in 8 days- which is unbelievable. They are so organized and professional at their work that the process felt like a breeze. They are extremely prompt quick at their work – since we were in a time rush they filed the file within 20 days . I am extremely happy and would recommend them over anyone since i had spoken to many lawyers – you will feel being blessed working with them. 100% satisfaction and a 100% go-to people. After our first initial call with Kaitlin to discuss the E2 visa option, we were confident in what our next steps would be. Kaitlin was very informative throughout the whole process and responded quickly to each query we had. We were so pleased when our visa was approved and we are now living the dream thanks to Davies Legal. Emily was invaluable in guiding us through the process of obtaining a spouse visa. She was very approachable, super responsive and made us feel that we were in safe hands throughout. We could not have asked for a better service and would not hesitate to recommend her. We are so grateful to Kaitlin and her team who have been instrumental in helping us attain E company registration and E-2 visa. Throughout the process Kaitlin was always responsive and clear in her guidance. As a candidate, the most daunting part of the process is the final Embassy interview yet Kaitlin’s preparation call prior to this helped dispel any concerns and instilled great confidence. We would further recommend their additional service of providing a business plan to accompany the application, which saved us many hours of additional work. Without doubt, we would highly recommend using Kaitlin for other candidates seeking an E-2 visa. Kaitlin and the team at Davies Legal have provided us with an excellent service throughout, leading to a successful outcome in a difficult environment. I particularly valued Kaitlin’s hands-on approach and faultless responsiveness and would thoroughly recommend the firm. Emily Johnson at Davies legal has proven to be a legal angel, she swooped down and helped me gain an IR1 spousal visa despite there being numerous complications and hurdles to get through. I can’t recommend her and her firm highly enough. We came to Kaitlin Davies for our E-2 visa to the US. Our experience was excellent. Kaitlin clearly understands this field and provided us with good clear advice throughout. It was great to have the advice and structure provided. I think we must have saved a huge amount of rework time because the process is not easy to follow for the uninitiated. Understandably her record of success is very high. I would highly recommend using Kaitlin Davies and her team, and I expect we will return when it comes to renewals or any further advice. Whilst I talked to a few other firms, the decision to pick Davies Legal was easy: our contact was Kaitlin, who is the most professional and knowledgeable immigration attorney I had spoken to – it was a no brainer. Whilst factual, visa applications are one of those life-changing events. It had to be in the hands of the right person. From the very start, each step was very well laid out, well organised and explained. And when I still had questions, they were answered rapidly. I also really appreciated the pre-interview preparation call, which made the interview process a lot easier. My visa was approved recently and I will be moving over in a couple months. A few months ago, I was reading those same reviews – today I get to write one and I want to take the opportunity to thank DL and Kaitlin one more time for their invaluable help and support. Kaitlin was invaluable in helping us through the process of attaining an E2 investment visa. We were supported at every step of the way, and were provided insights that proved essential to our successful application. Kaitlin was extremely knowledgeable, professional yet approachable, and prompt to reply to all of our queries, no matter how trivial. We strongly value the help provided to present a strong and comprehensive application to the Embassy. I would highly recommend Davies Legal. The help and guidance I received [from Emily Johnson] at Davies Legal was second to none and I would recommend them highly to anyone beginning their visa process. They are thorough, personable and extremely efficient. They will always go the extra mile if needed and are always on the other side of the phone to answer any questions or concerns. What seemed like a lengthy intimidating process became far more straightforward and I am eternally grateful to them for helping me secure my visa and I couldn’t have asked for a better lawyer. Davies Legal made a very tedious, stressful and time-consuming process as seamless and straightforward as possible. Any time we had an critical request for information, or deadline the needed reached – [Attorney] Emily [Johnson] was certain to address the matter with the utmost professionalism, kindness, and urgency. Not only would we have been unable to do it without her help, she ensured that we were able to receive the Visa within a strict deadline to be certain we entered the USA together. Davies Legal is tried and true, we recommend them to anyone eager to enter the US on any type of Visa. Thank you one hundred times over for quickly reuniting my husband and I, my gratitude is overflowing! I cannot express enough, the service I received from Kaitlin Davies through the process of an E-2 Visa application. From start to finish, it was a pleasure. I was always kept informed, calls and emails always returned very promptly, and felt that I was in complete professional hands. I would have no hesitation in recommending Davies Legal, and going forward, they will now be handling all my company’s visa requests. We would never have been able to navigate such a complex process in the jungle of document requirements without the help from Emily at Davies Legal. Attentive and responsive throughout the entire process she made the process a lot easier for us. Their services are highly recommended. I had a really great feeling about Davies Legal from our very first interaction, and that feeling was the same throughout the entire process. Kaitlin and Dafydd have always been super responsive even when I email outside of work hours; very knowledgeable, helpful, professional – and importantly, our interactions were always enjoyable. It’s easy to get lost in some of the details of a complex immigration application, but Kaitlin’s personable approach made the whole process are delight. I would highly recommend to anyone. And we’ll be sure to use DLI again whenever future immigration needs arise within our company. I had a dream of moving my family to Austin, Texas. I initially begin proceedings with another firm that offered horrendous service and gave me zero confidence in making my dream possible. After spending time and money I was about to throw the towel in. With one last role of the dice I thought I would phone (what was a random google search) Davies Legal. Boy am I glad I did!! I spoke with Kaitlin and within 5 minutes I knew I was finally speaking with someone with the knowledge, expertise and professionalism that would be able to make my dream happen. Kaitlin laid out the path it would take and everything she told me in our initial conversation was how it all played out. I cannot remember the times I would get an email at 1am! I am not sure she sleeps!! I cannot recommend highly enough Kaitlin’s services to anyone looking to follow a similar path to me. Thank you so very much for your fantastic service, masterful technical knowledge and perfect result! Thank you very much for your help. [Attorney Emily Johnson has] been very proactive and helpful throughout the process. I applied for a B1/B2 Visa with the representation of Attorney Emily Johnson (Attorney). I found her assistance very professional and helpful as she comprehensively helped me with all the documents I needed and also prepared me for the interview to give me the best chance of success which was very helpful. I am profoundly grateful for her professionalism in helping me have a successful outcome of my B1/B2 visa application. Emily Johnson/ Davies Legal are highly recommendable! It is a big pleasure for me to thank Kaitlin and her whole team at Davies Legal for their fantastic work for us achieving a 5 year E2 Visa! Finding DL online was the best destiny what could happen to us. Kaitlin was always available and answered our questions with patience and precision. She took her time explaining all details of the process on the phone , even at evenings or at weekends. It was very helpful, that our business plan was produced professionally by the Davies Legal team and presented a strong case. Our application file was so well prepared and organised, that the final interview lasted not even 2 minutes. When I told Kaitlin about the approved visa, I felt that she was happy and delighted not only as our lawyer, but also as a friend, who she became to us during the last 5 months! My whole family and I would definitely highly recommend Kaitlin and her very professional Davies Legal team. I contacted Davies Legal as I discovered I had been travelling to the US without the correct visa, due to an old criminal conviction. I received a very quick response from Kaitlin Davies, who handled my case from initial consultation through to delivery of my tourist visa. Being in a long distance relationship with a US citizen, who resides in the US, created complications for my application. Kaitlin worked resolutely on my case, with a personal and supportive approach throughout, what was at times, a very stressful situation. The fees have been extremely fair and I have appreciated that the work involved went above and beyond what I had initially been charged for, with an additional application fee being waivered. I chose Davies Legal due to Kaitlin Davies’ qualifications and experience in both immigration and criminal law. I highly recommend the law firm and will be using Davies Legal for future visa applications. Davies Legal guided us through the complicated process of obtaining a US permanent residence visa for my French wife. Kaitlin Davies was quick to respond to our questions and very helpful. Her professional guidance was invaluable. Myself and family would like to express our thanks to Kaitlin and her team at Davies Legal for her assistance and guidance in helping us to achieving a 5 year E2 Visa. We approached Kaitlin in January and from the first time we spoke to her we were very impressed with her clear, concise advice. She was extremely thorough in all her preparations and would often reply at 8, 9 and 10pm at night! – Not many attorneys do that!! Her ability to think “outside the box” ensured our Visa was processed on time and without delays. Our Visa was approved in July this year and throughout the process Kaitlin guided us through the application and ensured that we met the application criteria. We needed help preparing a Business Plan and needed an Attorney in the US to help us with the purchase of a business and her recommendations were excellent with the added benefit of the business plan been done in house. Kaitlin was so valuable to us when applying for our our visa. We were clear from the start that we wanted the process to go as quickly as possible and she made sure to always respond quickly and made sure we were one step ahead at each stage of the process. She was able to offer us some really good advice on obtaining additional documents and ultimately the process was really straightforward and we were so well prepared that the final interview at the embassy was almost a formality. From the first call with Kaitlin at Davies Legal, I felt fully confident that she and her team would be able to manage the case and they demonstrated early on that they had experience of similar cases and applications to the US Embassy. She was patient and took her time explaining step by step the formalities and was clear in communicating the procedures involved. Kaitlin made me fee very comfortable and is personable as well as friendly. Many thanks and I have no reservations in recommending your services. Very rarely does one come across a super committed and transparent team of lawyers. Davies Legal is one of these rare teams. Headed by Kaitlin Davies, they handled our employee’s application for a hybrid visa with great care and foresight. I have no hesitation in recommending them to any other business. And will surely be working with Kaitlin and her team again in the future. When searching for an immigration lawyer, I was bewildered by the selection available. 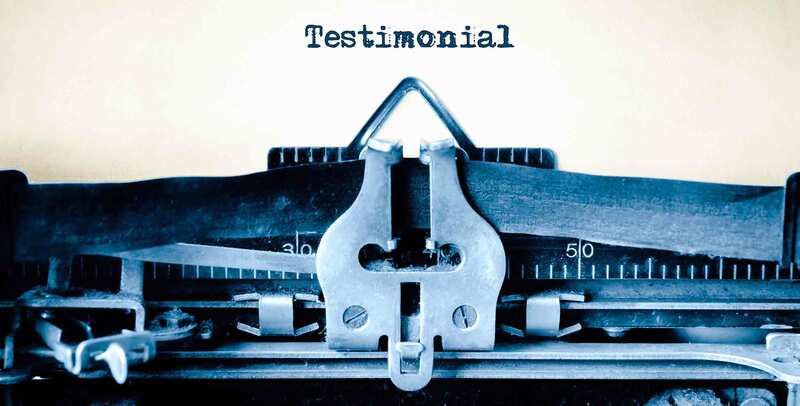 I chose Davies Legal because they were based in London, responded very quickly to my initial enquiry and were happy to provide me a quote based on multiple applications. This experience continued throughout the entire process and by the time I attended the interview at the embassy I had the confidence that it would be a smooth experience. I have no hesitation in recommending their services. Kaitlin has been thorough throughout our engagement. She gave me her honest opinions and advice. I consider Kaitlin a friend who I can go to to ask questions. She has been an asset to our family from the start and still continues to be. I would definitely recommend her to anyone looking for an Immigration specialist. Just a quick note to thank DLI for securing me a 5-year B-1 visa. I appreciate your quick service, knowledge and humour throughout this process. I literally couldn’t have done it without you! I thank you again for the most prompt, professional and courteous manner in which you have dealt with our requirements. Working with Kaitlin at Davies Legal was a very comfortable process. We were provided with all the information in a timely manner. Kaitlin and her team made sure the US Immigration application for our employees was processed correctly with all the t’s crossed and the i’s dotted. We received very good advice and support throughout the process. We will be delighted to recommend Davies Legal to any business which requires a law firm to deal with their matters of US immigration. My wife and I reached out to Davies Legal to assist us with our US visa application. DL provided excellent and quality service. We always felt that that our lawyer Kaitlin was very invested in us and our visa application. She was very easily accessible and always got back to us quickly. Because of DL’s assistance our visa application process went very smooth and we acquired the visa within 6 months’ time without any issues. She always was two steps ahead of the process and made sure that we collected all the right information/ documents that were required for the visa application. We highly recommend Davies Legal, she has been a great help to us. I write this testimonial now settled in the US, which I truly believe was only made possible by the fact I selected Davies Legal. At the outset the team’s professional and friendly manner gave me reassurance. I can only commend Kaitlin on her skill and patience in getting all the information together along with her extensive knowledge which made the process a lot more efficient and error free. Attorney Kaitlin’s knowledge and willingness to go the extra mile to ensure we put forward the best case possible led to success with no further information or documents being requested by authorities. From the initial encounter all the way through to me clearing immigration itself, the team made themselves available to address any concerns and give guidance. I can’t recommend Davies Legal highly enough and if you are requiring assistance I recommend giving them a call as it will be the only one you need to make. Kaitlin was recommended to me by an associate and I engaged her services to apply for an E2 Treaty Investor visa to enter the US. She was friendly, very knowledgeable, professional and always available (even on Christmas Eve!) to answer my many questions and most importantly was successful in securing my visa. I would have no hesitation in recommending her services to anyone looking for assistance in acquiring a visa to enter the US. I’d like to thank you for your help with everything, especially for your eye to detail, understanding and patience. Davies Legal will be the first person to approach if I need help with anything immigration. Having heard about Davies Legal from an online group I’m a member of on Facebook, I filled in the online form and Ms Davies phoned me the following day. After discussing my charge Ms Davies was very happy to take me on a client, stating from the start and being very clear that if she didn’t think I stood a chance of gaining a waiver then she wouldn’t have taken my case. And from that day things really moved quickly. Ms Davies managed to get records from the police after they denied them to me, and from speaking to the interviewing officer in charge of my case to keeping myself and my wife informed of any developments, Ms Davies really helped. Exactly six months later I had the email I’d been waiting for I’d been granted a waiver. I really cannot thank Ms Davies enough for all the hard work she put in to helping me gain my waiver. I will recommend Davies Legal to anyone who seeks the services within this field, extremely friendly with a very quick response time when emailing with a question or problem. I can honestly say if it wasn’t for Ms Davies I really don’t think I’d of gained my waiver as it can be a very confusing and frustrating situation and for that I really do thank you. I have nothing but praise and gratitude to Kaitlin for her professional attitude and knowledge in achieving the objectives we set. Thanks again. The service provided by Kaitlin Davies at Davies Legal is technically informative, helpful and responsive, it was also an all-around good experience. Other lawyers I spoke with talked “at” me, Kaitlin listened. As a result her legal guidance was more directly useful. I highly recommend her and her firm. Many thanks again for your help & advice in this matter, it means so much to me & our family. I’m so grateful to you, you’ve been great. Thanks in no small part to you, that we managed to get to the USA. Thank you so much again for your help, you are a great lawyer and great person. I hope you bring happiness and joy to everyone as you did for us. I am very lucky that you took my case in your hands. I got a successful result without any trouble and any and every time I wrote to you, you replied immediately to my emails. You gave us a unique experience from start to finish. Really I am very grateful to you. You make my life. Kaitlin provided a very professional service in a personable and friendly manner. At all stages of our Visa application process everything was explained in terms a layman such as myself could easily understand. Kaitlin clearly took great pride and dedication in her role to ensure our interests were paramount. I would have no hesitation in recommending her services to friends and family and she is already working on behalf of my daughter. We stumbled across Kaitlin via the internet when looking to gain visas for the USA and thank goodness we did. From our initial meeting with Kaitlin to the final successful delivery of our Visas she has always operated with the upmost professionalism. Kaitlin is incredibly versed in her field and leaves no stone unturned, her work ethic and vast knowledge in her field is refreshing. This in turn ensured that the whole process was fluid and stress free. Kaitlin always makes herself available to answer any questions and prepares you fully for all parts of the Visa process. Having gone through this process and emerging with a successful outcome, we would have absolutely no hesitation in recommending Kaitlin and her services and cannot thank her enough for all her help. In a nut shell if you are looking for a U.S Immigration Lawyer, look no further. I interviewed many visa attorneys before choosing Davies Legal, Kaitlin was by far the sharpest and most knowledgeable of them all advising unbelievably important things that others had not considered telling me. Kaitlin was so discerning going through with all the fine detail of the legal contracts and business plan advising how best it should be changed so that it met the Visa requirements, should we have not had her as our guide through this I feel we would not have been able to achieve this without her! She guided us so well always questioning information to ensure that our application was right the first time that in fact it was right first time, it was so well prepared in the end with her assistance that it gave the US embassy very little to ask us about and was very well received by them! We cannot thank Kaitlin enough for her great work and effort helping us with our E2 Visa application for the US! Thank you for helping my family and I make our dream come true! I’m so so so incredibly happy! Thank you Kaitlin so much for your assistance throughout this process, could NOT have done it without you. I was honestly expecting the worst and it’s just opened up my future, and I’ll be forever grateful to you for that! I’m extremely thankful for the personalised approach you took and I think you are an absolute star. I want to genuinely let you know and reassure you that the work you do has profoundly positive effects on the clients’ real lives that you deal with. The people that walk into your office are stuck and looking for a lifeline – and the way you deal with that by balancing hope with realistic outcomes is absolutely spot on. I would like to express my sincere thanks to the team at Davies Legal for successfully handling the USA Visa process on my behalf. From our first telephone conversation where you clearly outlined what was involved in this very complex process, I felt confident and reassured and knew I had made the right decision. The fact that you were going to personally oversee my application from first meeting to final submission, was another very important factor. Your vast experience and knowledge has been invaluable. Once the process was under way you were clear about my role in ensuring the required documentation and information was made available in a timely and efficient manner. The way you then presented the application simply reflected the professional approach to everything you do. Quite simply, I could not have undertaken this project without you. I cannot recommend Davies Legal highly enough and feel you represent amazing value considering the immense amount of work you did. I was working to a strict deadline and you even managed to accommodate that.